In anticipation of PADI’s Women’s Dive Day on July 18th, we are interviewing several women who are inspirational to divers and non-divers alike. 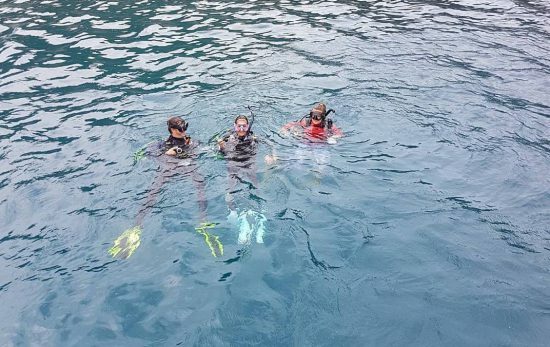 Joanne Edney, a PADI Instructor, PhD scholar and ecologist was kind enough to be interviewed to share her views on what diving means to her. 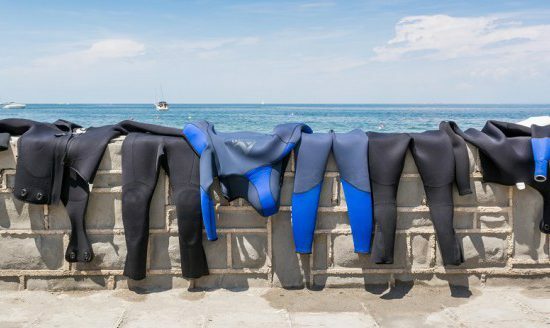 How has diving changed your life and career? Diving has had a big impact on my life, it was something I had wanted to do since I was very young, in fact I can’t remember ever not wanting to dive. I learnt to dive at the end of 1982, and ever since diving has been a central theme to my life. After learning to dive I just wanted to dive all the time and did lots of continuing education. I did a lot of specialties, then became a PADI Divemaster in February 1984, an Assistant Instructor in October 1984, an Open Water Scuba Instructor in February 1985, a Master Scuba Diver Trainer in May 1985 and an IDC Staff Instructor in September 1985. We had big classes back in the 80s, and lots of them. I was working pretty much every weekend and did some full time work as an instructor as well. I loved introducing people to the underwater world, and just being in and under the water a lot. It is something I still really love about teaching diving. I trained as an ecologist, getting my BAppSc (Natural Resources) in 1983, and by the late 1980s had become very busy with that career and ended up having to stop teaching diving. 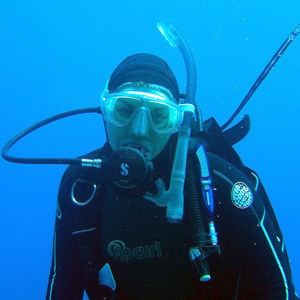 In my career away from diving I worked primarily in environmental research and survey, protected area management (including marine parks), cultural heritage management and threatened species conservation. After I stopped teaching in the 1980s I continued to dive actively locally, and throughout the Pacific. In the mid-1990s my husband and I decided that we should do an overseas dive trip at least once every year, and we have done that, with the exception of one year, and some years we have done more than one overseas dive trip, which has been wonderful. I just love spending time in the marine environment. Last year, about 26 years after I had stopped instructing, my life circumstances changed and I was encouraged by a dive shop owner I have know for 25 years or so to reactivate my Instructor status. So in April 2014 I did my IDC/IE and have been back instructing ever since. I really love it and can’t believe I stayed away from it for so long. In 2003 I started doing some post graduate study that was related to my career in protected area management. In 2009 I started my MAppSc and decided that I wanted to do something that I was really passionate about, and where I thought I could make a contribution. I love all types of diving, but wreck diving is my real passion, so I chose to do research into wreck diving. I wanted the research to be relevant to the dive industry and to divers as well as to heritage managers, and for it to make some kind of difference. I completed my MAppSc in 2011 and enjoyed doing the research so much that soon after finishing my Masters I commenced my PhD. After about a year of doing my PhD part time I decided that it I wanted to commit myself totally to it, and quit my job, a secure, well paid job at that. So now my whole career is based around diving. I study full time and teach diving part time. I have never looked back, and am really happy and grateful that I had these opportunities come my way and I was able to act on them. I have also recently become an Assistant Tutor for the AIMA/NAS maritime archaeology training. I would never have done this if I hadn’t been a diver. 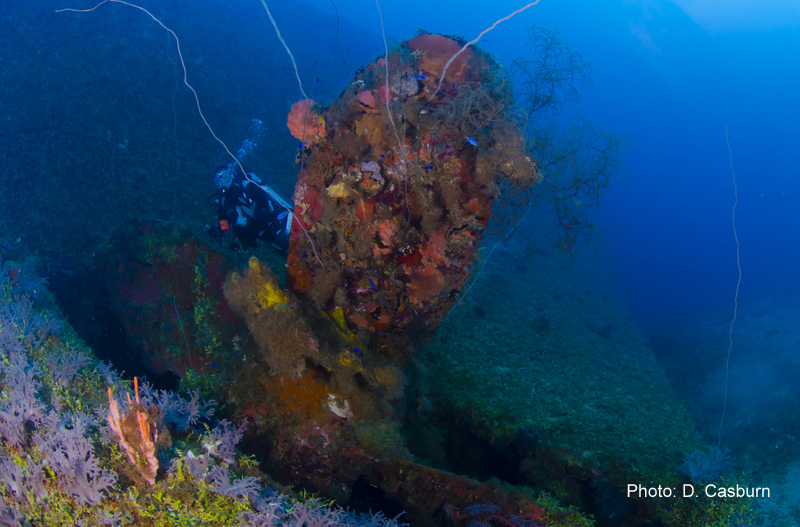 Diving is what got me interested in wrecks and their history, so it is awesome to be able to help teach these courses to other divers and non-divers who have an interest in shipwrecks and maritime archaeology. So diving has not only changed my life and career, it has become both! It is central to my life. 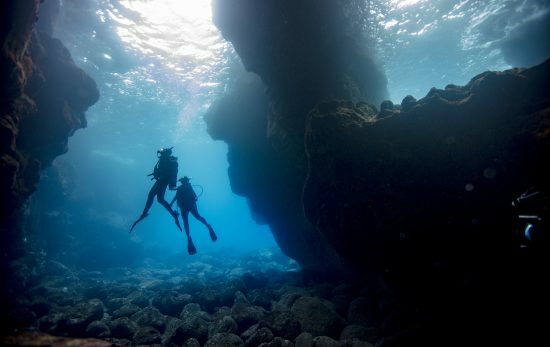 The other thing about diving is that the more I do the more I want to do. With many other activities, I do it for a while and enjoy it then reach the point where I think, okay, I have really enjoyed that and it is time to do something else. Diving has been quite the opposite! Many and varied people have inspired me throughout my career, both men and women, and too many to name them all. When I was a child it was watching shows like Flipper, Jacques Cousteau and other documentaries that really inspired my desire to dive. Later on I was very inspired by people like Sylvia Earle, Eugenie Clark, Jane Goodall, David Attenborough, Ron and Valerie Taylor, but who wouldn’t be inspired by these people! I have also been inspired by other people in the dive industry. For example, Paul Rosman who mentored me through my Divemaster and Instructor training, and who I learned my deep and wreck diving from. I was also lucky enough to have worked as an IDC Staff Instructor at PADI College in the 1980s, I found the staff that I worked for and with very inspiring. I learned so much from them and it was a very supportive environment to work in and further develop my skills. I have always been inspired by Judith McDonald, who I am now fortunate enough to work for. I have known Judith for over 25 years and have always admired her, such an amazing business woman. I saw Judith set up her shop many years ago and have watched her go from strength to strength, and it is great to see someone still so passionate about diving and who gives a lot back to the industry and others. It was Judith who encouraged me to come back to instructing. I am very grateful for this, because I probably wouldn’t have even thought to do it if it wasn’t for Judith’s encouragement and support. I had forgotten how much I loved it until I came back to it. I am also inspired by the many amazing women who have been inducted into the Women Divers Hall of Fame (WDHOF). One I am particularly inspired by is the late Cecelia Connelly. I came to know about Cecelia when I applied for, and was awarded, the Women Divers Hall of Fame 2014 Cecelia Connelly Memorial Scholarship in Underwater Archaeology. This scholarship helped pay for my PhD fieldwork and I am very grateful to the Connelly Family who sponsor the scholarship, and the WDHOF. PADI have always been very helpful to me when doing my research and I am very grateful for that. It is great to be part of an organisation that is interested in knowing more about divers, their aspirations, and supporting more sustainable diving practices, and supporting research. This also inspires me. The opportunities are limitless! It is great seeing some many women participating in diving and making diving their careers. I think the challenges are dependent on the individual and their current life circumstances, or the phase of their life that they are at. For many women, and of course men, busy lives and family commitments can pose challenges to getting out and diving. I think the challenges now are different to the challenges women faced when I first started diving in the early 1980s. Diving was very male dominated back then, as were other recreational pursuits I was involved in, and also in the workplace in my early career as an ecologist. This can be a barrier for some women who can feel daunted by it. I never actually saw these things as barriers, it was just how things were, so I ignored it. If I decide I want to go and do something I just do it. I don’t really stop and question whether or not I can do it, or whether it is appropriate for my gender, and have never been put off doing something because it is male dominated. I tend to just leap right in and give things a go. My motto about trying new things, and when people ask if I think I am going to be able to do something, is that ‘you never know ‘til you give it a go’. The fact that diving was male dominated and seen as more of a man thing do didn’t even enter my thinking, I just wanted to dive and so I did. I have seen the challenges change in the 30+ years I have been diving. In the early days the gear was more cumbersome and would have put a lot of women off, and for some women the lack of other women participating in diving may have led them to believe they couldn’t do it or put them off. I think seeing more women out there diving encourages others to give it a go. When I was younger I didn’t fully understand the importance of this until I was teaching an open water course in the mid-1980s. Back then we had huge classes, and this particular one had over 30 students. I taught all the theory, and for the practical sessions we broke the class into smaller groups and other instructors (all male) assisted me. After the first dive I had one of the women from one of the other groups come up to me and tell me how glad she was that I was there. She had been having difficulties with some of the practical skills in the open water sessions but she said she saw me taking my group into the water and thought “if she can do it so can I”, and got through all her skills and was feeling very proud of herself. 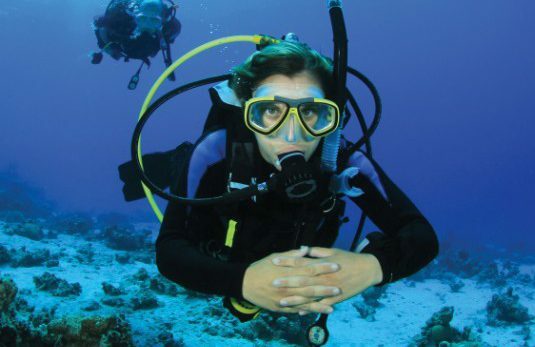 She told me that seeing a woman teaching people to dive made her believe she could do it. I have never forgotten that. 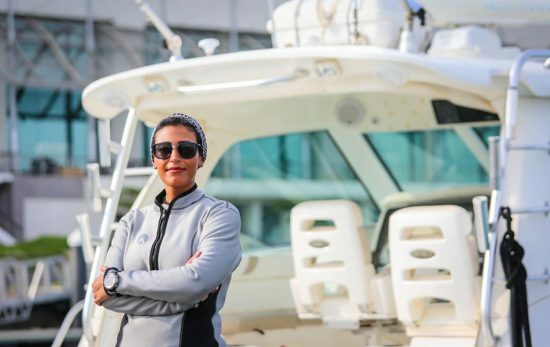 It made me realise that the presence of other females in diving can help other women overcome these types of challenges that may be barriers to their participation in diving. Any plans for PADI Women’s Dive Day on 18 July 2015? At this stage I don’t have any fixed plans because I am a bit unsure about where I will be on the day. I will do a dive somewhere and with some of my female friends or other women. If there is something planned at the dive shop I work for or my local dive shop I will be sure to participate. I think it is a great initiative of PADI’s and would like to see it happen on a regular basis.